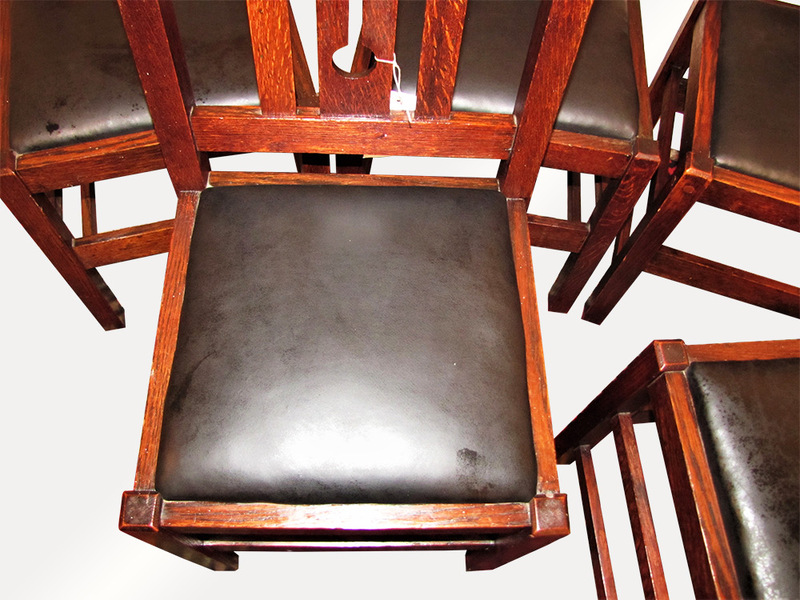 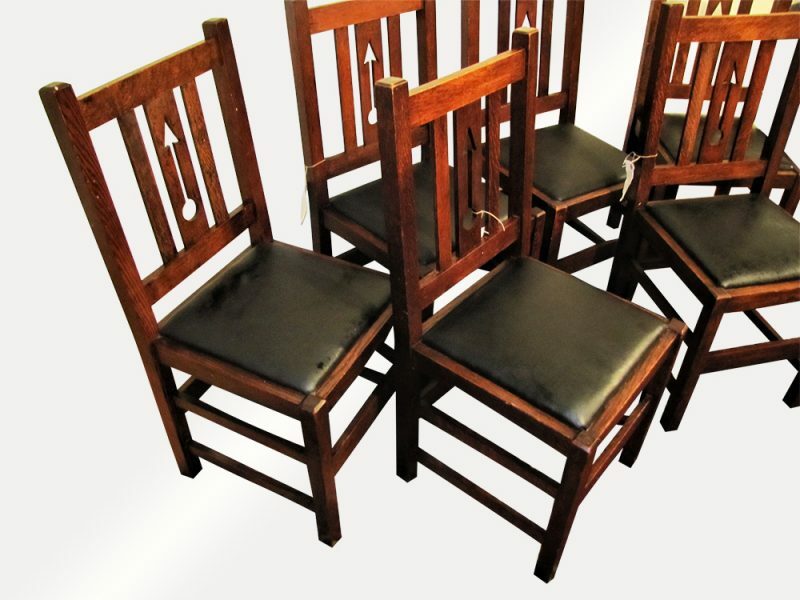 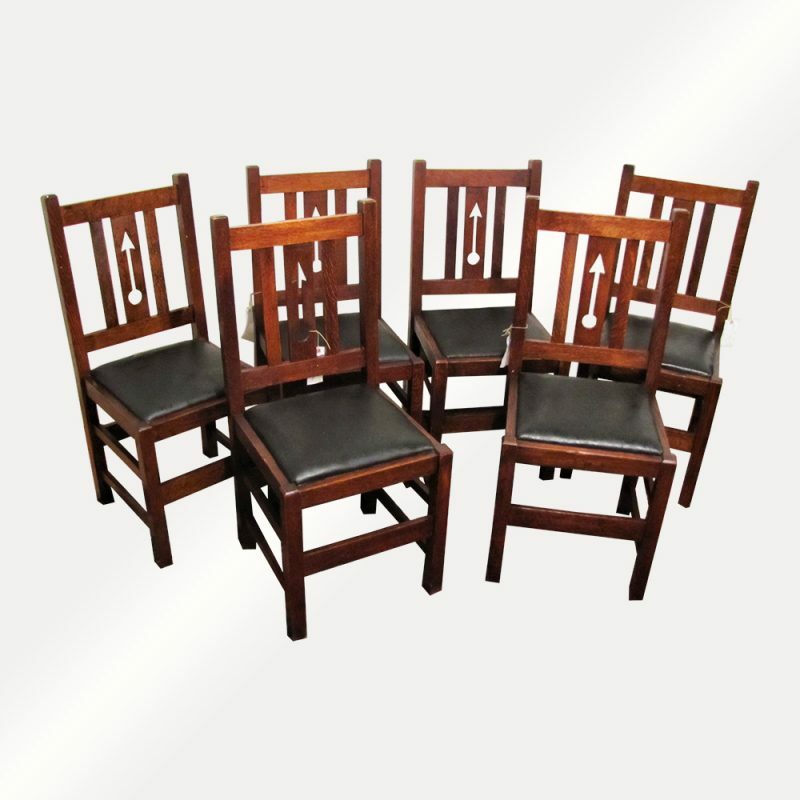 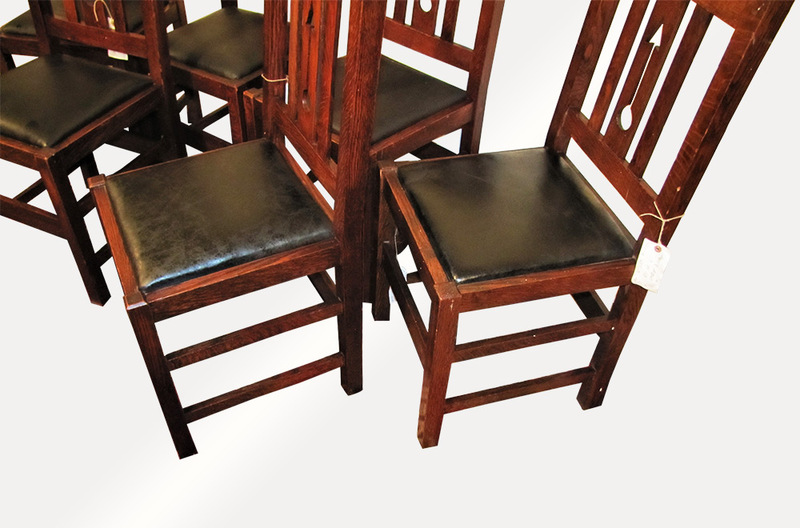 This is an Antique Set of 6 Limbert Dining Chairs with Cutouts from the early 1900’s. 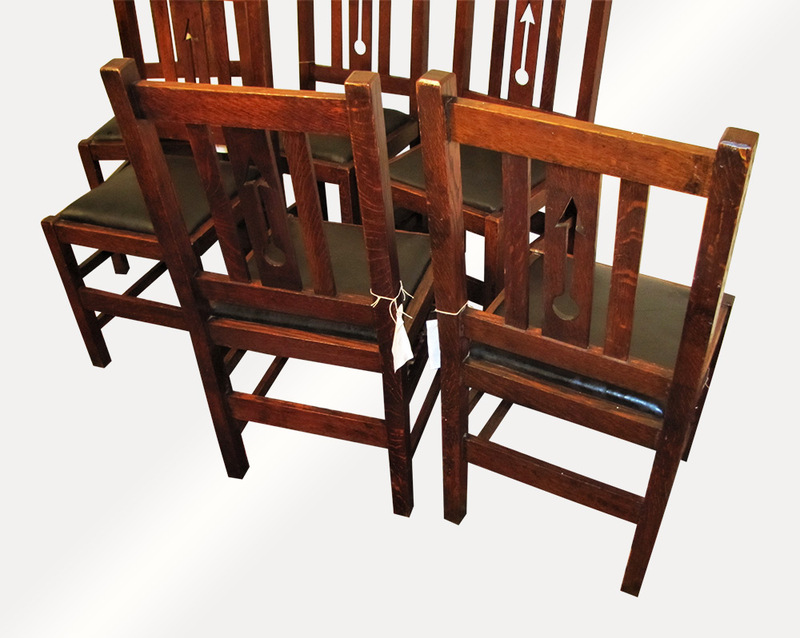 This set of chairs is from the early period of Limbert and they are heavy and bulky. 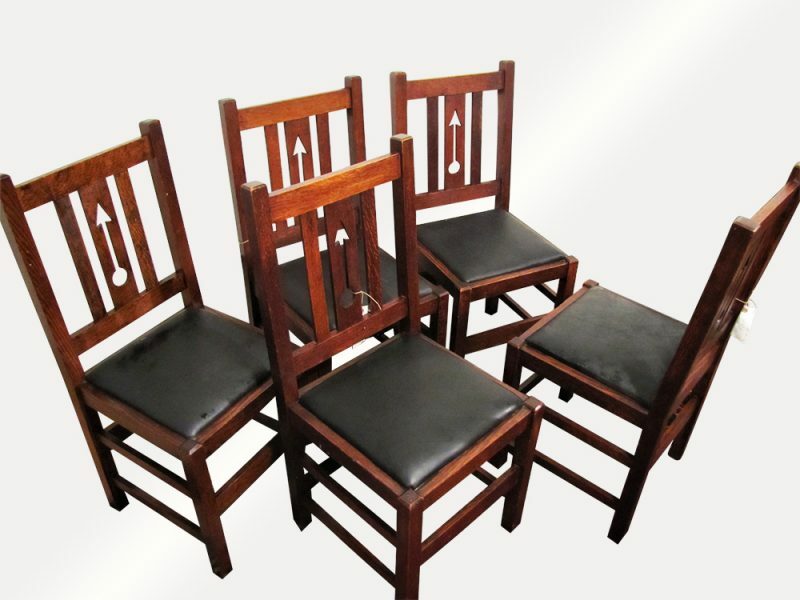 As you can see in the pictures the chairs have a very nice form with nice cutouts. 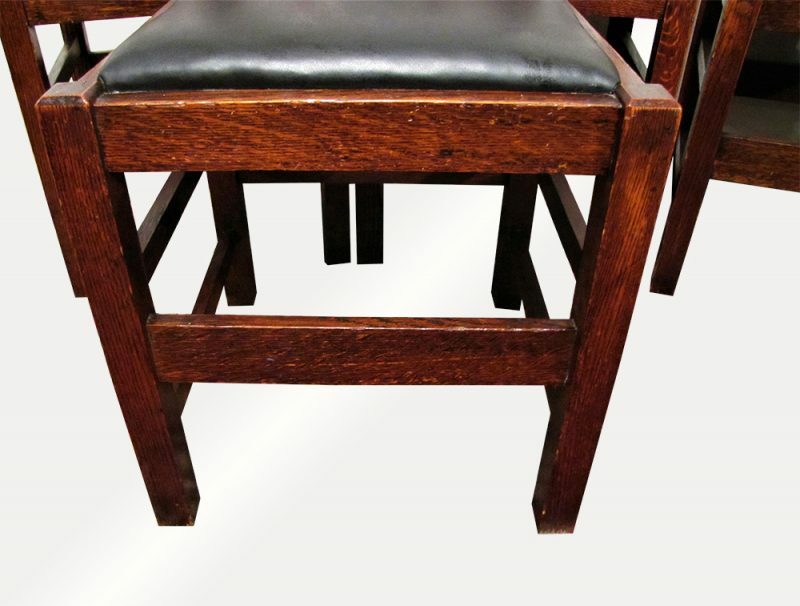 Like most of Limbert’s early pieces, there is not much quarter sawn oak throughout the pieces. 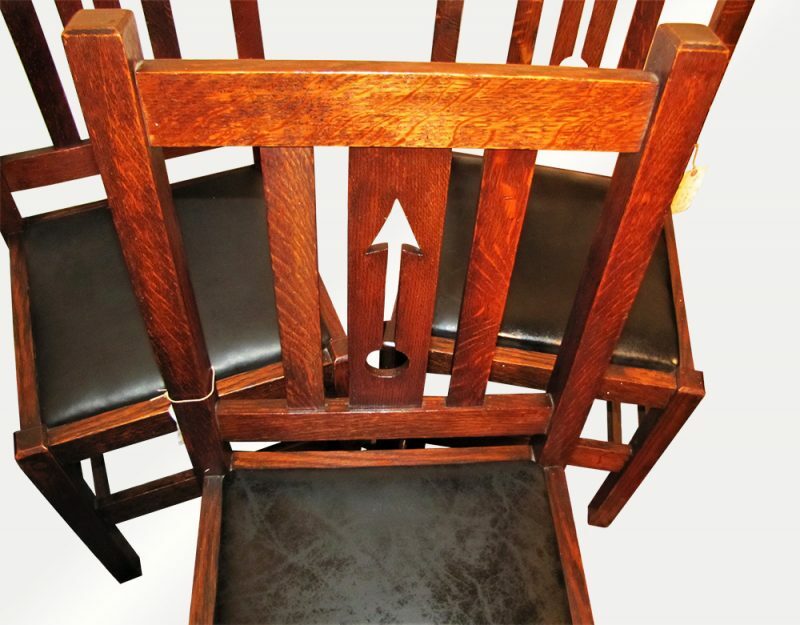 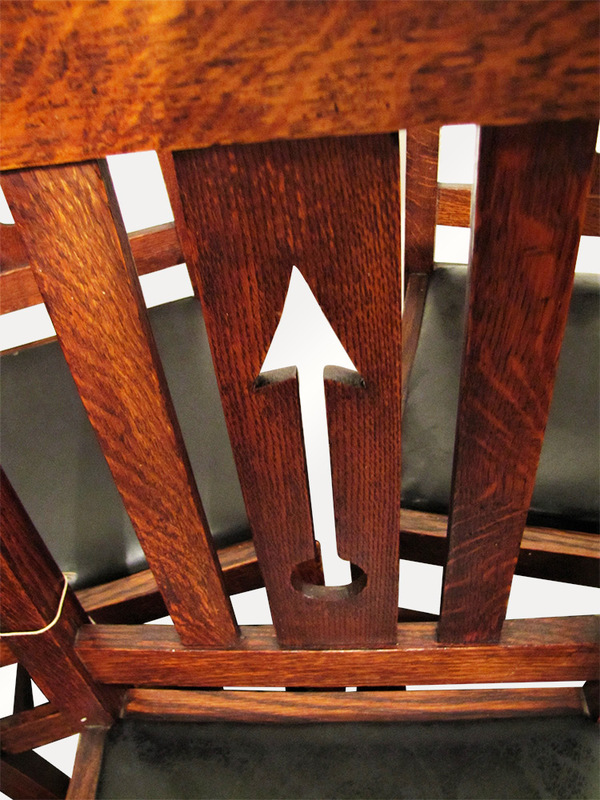 The chairs do have the original finish, but are unmarked. 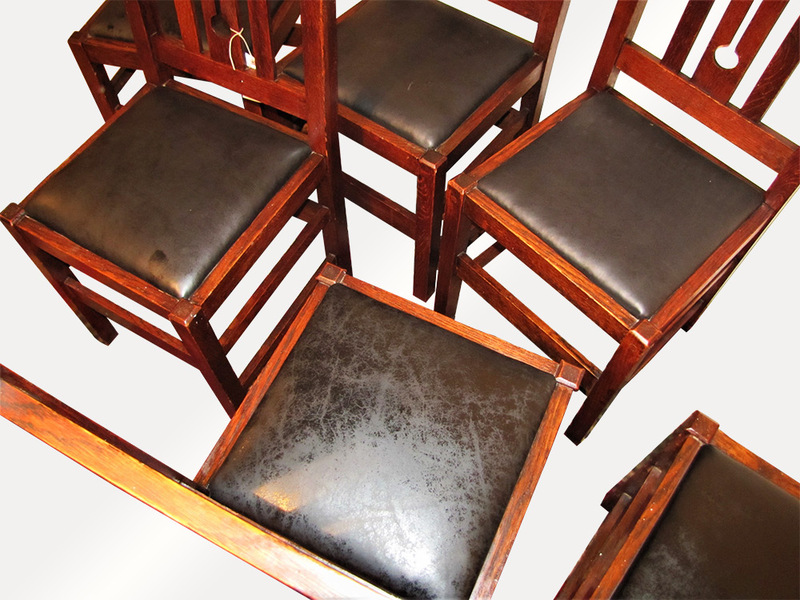 Our quality of upholstery is much better than the other dealers and we also try to make the furniture as time period as possible. 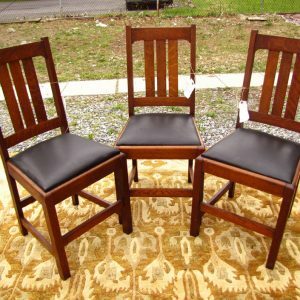 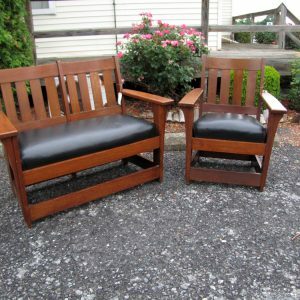 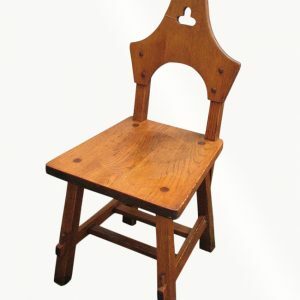 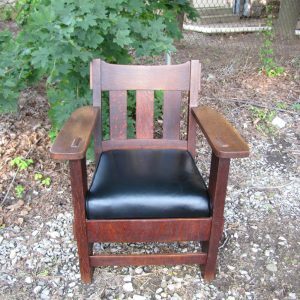 We do have several chairs listed as well as other items and if you are interested in multiple please let us know so we can combine shipping and save you money!